Your bathroom sink can be installed on a countertop, tabletop, on bathroom vanity cabinet, hung on the wall or can be independently standing with stylish trunks or pedestals. There are several types of sink that you can choose. The types depend on the sink’s plumbing and space requirements and also its compatibility with the design of your bathroom. The first one is the traditional white sink. 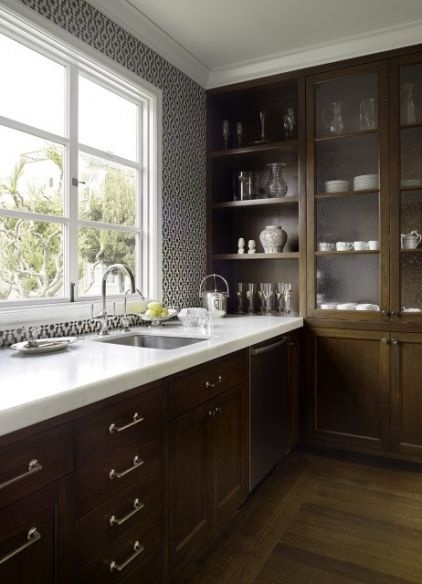 This traditional white sinks is less expensive than the other. The shape of white sink usually comes in round, oval or square, very traditional. The second type of bathroom sink is the corner sink. 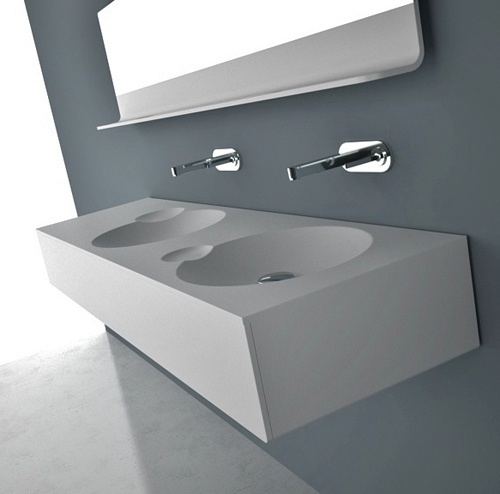 Just like the name, the corner sink are produced to fit in your bathroom corner. 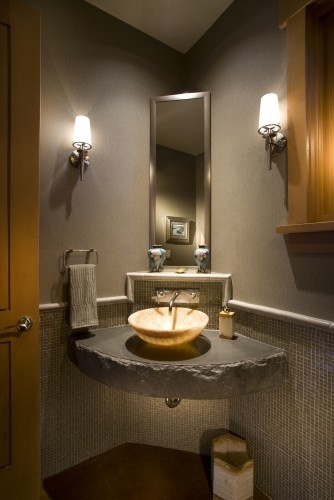 Then, another option is bathroom vanity sink. Bathroom vanity sink is available as countertop and pedestal sink. Moreover, it comes in varied choice of materials, prices range and quality which make you feel free to choose. After pre-molded counter sink, you may choose the solid surface countertops in which the sinks are installed can be customized to fit the bathroom design as well and give a stylish look to the simplest of sinks. Installing sink bowls like a low bureau into bathroom furniture pieces will help you to get a functional and efficient bathroom. Sink bowls will allow you to hide the plumbing behind the furniture and permit you to use lower drawers for storage purposes. You can also install a sink in a tabletop. It can be treated to be water resistant and withhold water overflow. Because of this reason, the tabletop sink can be your option to the pedestal and countertop installation of sink bowls.The last and the newest trend of bathroom sink now are installing the sink in bathroom furniture. 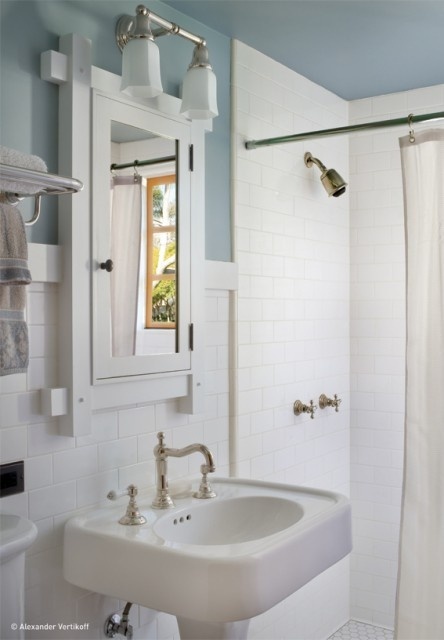 The sink installation in bathroom furniture can add interest and warmth to your bathroom. 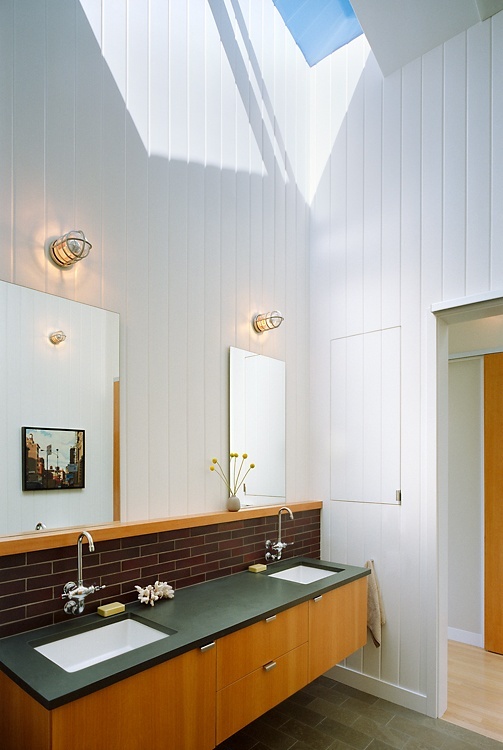 There are so many things to do in determining the bathroom sink design. But you would not feel confuse anymore because the ideas will pop up on your mind after reading the passage above. So, just choose the material, decide the type of your bathroom sink and express your self through the bathroom sink design.